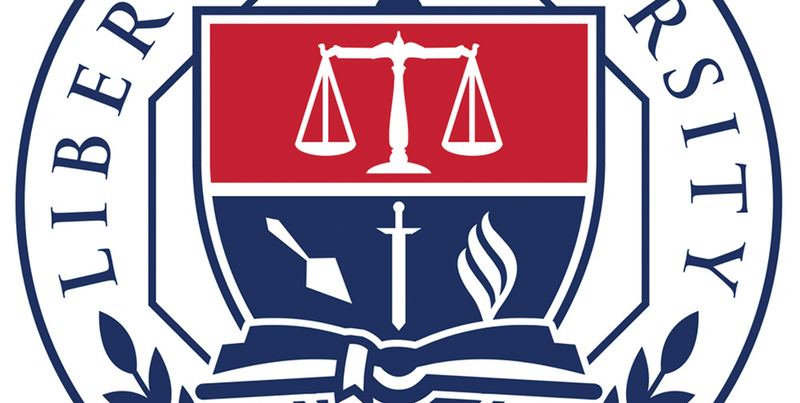 Liberty University School of Law has added an intellectual property law clinic to its expanding opportunities for students. The clinic opened in August 2018 and is the second United States Patent and Trademark Office approved law school clinic in Virginia. It provides students with practical skills and real-world experience in assisting clients with their intellectual property needs. Areas of emphasis include copyright, trademark and trade secret protection. These services are offered pro bono to a select group of clients. Under the leadership of the clinic’s director, Andrew P. Connors, Esq. (2010 LUSOL alumnus), clinic students counsel clients on a variety of intellectual property matters and assist clients with obtaining federal registered trademarks and copyrights. “We are continuously examining the ever-changing legal marketplace for areas of growth for our students. In an increasingly complex business world, experience in assisting actual clients with their intellectual property needs will allow our graduates to enter practice ready to make an impact for their clients,” said B. Keith Faulkner, dean of Liberty University School of Law. Businesses or individuals interested in becoming a client of the clinic should email ipclinic@liberty.edu for more information and eligibility requirements. Learn more about the mission and vision of the clinic in our Legal column on page 44. 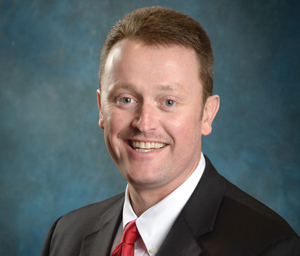 J.P. Vaughan, director of training and business planning at Dawson Ford Garbee, is one of the newest members of the Virginia Realtors Association Hall of Fame. The 82-year-old was featured in a profile, “The Real Estate Coach,” in the April/May issue of Lynchburg Business. Vaughan first jumped into real estate in 1960 and spent most of his career working with Coldwell Banker Forehand. 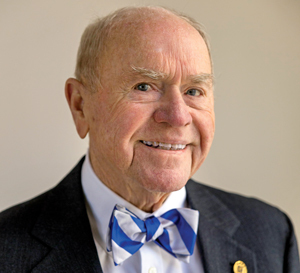 In 1985, he was elected as president of the Lynchburg Association of Realtors and served three terms. Vaughan also started a local public access television show called “Real Estate Today” and served on the Lynchburg Planning Commission, Lynchburg Board of Equalization and Lynchburg Neighborhood Development Foundation. The inaugural class of the region’s first Business Hall of Fame is a mixture of legacies recognizing the leaders who launched businesses years ago as well as the leaders growing them today. A. C. “Buzzy” Coleman, Jr., Coleman-Adams Construction, Inc.
Dr. Charlie W. Pryor, Jr., BWX Technologies Inc.
Marc A. Schewel, grandfather Ben Schewel and great uncle Abe Schewel, Schewel Furniture Company, Inc.
“These individuals are proof that the success of family legacies and businesses are built upon foundations of endurance, sacrifice, and passion which fosters sustainable growth and contributes to our unique culture and thriving community,” said Alliance Chair Stefanie Prokity. Centra is the “best place to work” in Lynchburg, according to Zippia, Inc., a San Francisco-based company with an online job search site. The company hand-curated a list using criteria such as salary, financial health of the company and employee diversity. Zippia’s ranking of the 2018 top 20 companies to work for in the Lynchburg area included Centra at #1, followed by RiversEdge USA, Generation Solutions, Bank of the James and BWX Technologies. For a complete listing of Zippia’s top Lynchburg companies to work for, visit www.zippia.com/company/best-companies-in-lynchburg-va/. 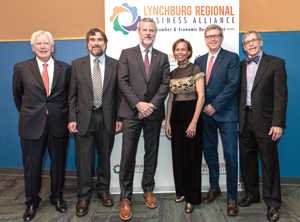 The Lynchburg Retail Merchants Association has rebranded and will now be known as the Central Virginia Business Coalition. “We have made this change to better serve businesses in our area. With so many new events in 2019, we are really moving forward on bettering the business community for all types of business,” said Heather Alto, Director of Membership and Marketing. The change includes a new website (CVABC.org) and a new logo. Centra is searching for a new president and chief executive officer following the resignation of E.W. Tibbs. He made the announcement September 27 after serving in the role since April 2013. Centra says under Tibbs leadership, the hospital system experienced significant growth and improvements in quality and healthcare efficiency, helping to create an enhanced culture focused on patient safety. Tibbs was instrumental in leading Centra’s ambulatory strategy which placed facilities closer to patients’ homes to improve access to care. He also was responsible for Centra embarking on a two-year journey to transition to a single electronic health record that became operational this month. During the search, Michael Elliott, Centra’s Senior Vice President and Chief Operating Officer, will serve as interim CEO. Susan Landergan is retiring from her post at the YMCA of Central Virginia after more than 30 years as CEO. 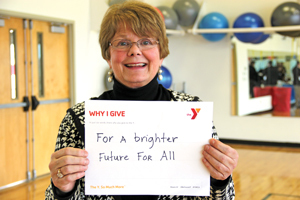 “My career at the YMCA has been an immense blessing in my life. How many people can say every day, ‘I helped someone today?’” she says. Landergan attended UNC-Chapel Hill where she received a B.A. in education. She started her career with the YWCA in 1982 in Tulsa where she served as program director and central branch director. She later joined the YMCA of Central Virginia in 1986 as its marketing director before becoming CEO in 1987. A lot has changed in those years, including the size and scope of the YMCA in the region. Landergan took the YMCA from 885 members and a $489K budget to currently 26,188 members and a $9.1 million budget. She also started the YMCA of Central Virginia’s first childcare program in 1988, growing it to 13 sites today that serve 900 children. When Landergan first became CEO, the YMCA of Central Virginia only had its downtown location. Now there are four facilities: Downtown, Jamerson, Express, and Bowen Wellness. In January 2014, Landergan brought home an idea from a YUSA conference that focused on summer learning loss prevention in math and reading. She founded the Power Scholars program that year, taking it from 20 local students in a pilot program to 240 local students today. Other achievements include launching programs such as YMCA Diabetes Prevention and LIVESTRONG at the Y as well as partnerships with community organizations including Centra and Lynchburg City Schools. NanoTouch Materials has completed construction of their new facility, the Center for Innovation in Smart Materials, located in the New London Technology Park in Forest. The company has moved its research, product development and manufacturing operations to the new facility. In that space, they have already come up with a new self-cleaning surface—a clear film for touchscreens. “The latest news about airport check-in kiosk touchscreens being the dirtiest places in airports drove our team to come up with a solution. 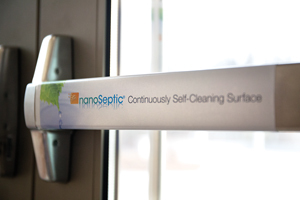 These screens, which in one study were shown to be 1,000 times dirtier than a toilet seat, can now become continuously self-cleaning with the addition of our new clear film,” says co-founder Mark Sisson. The company is also close to releasing self-cleaning elevator buttons. NuScale Power has selected BWX Technologies, Inc. to start the engineering work to manufacture NuScale’s small modular reactor (SMR). The decision follows a rigorous 18-month selection process, with expressed interest from 83 companies based in 10 countries. NuScale’s technology is the world’s first and only SMR to undergo Design Certification review by the U.S. Nuclear Regulatory Commission and is the country’s frontrunner to compete in the global SMR race, a market estimated by the Nuclear Energy Agency to be more than $100 billion by 2035. “BWXT’s established industry experience was important for us, and so was choosing an American company,” said John Hopkins, NuScale Power President and Chief Executive Officer. BWXT will immediately start work on this first manufacturing phase of NuScale’s SMR, which is expected to continue through June 2020. The U.S. Nuclear Regulatory Commission is scheduled to approve NuScale’s Design Certification application in September 2020.